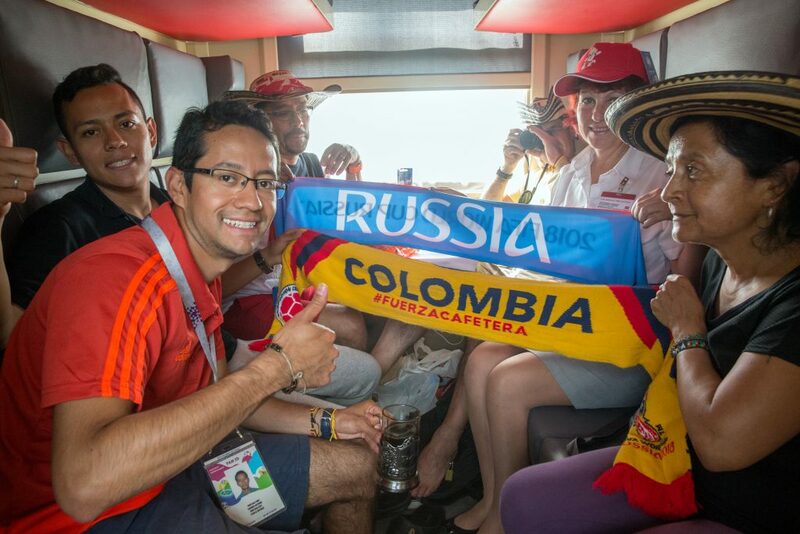 Fans travelling to the 2018 World Cup by train would have seen a lot of Russian Railways during their travels to Nizhny Novgorod, St Petersburg, Samara, Volgograd and Kaliningrad, which are respectively a four, four, 13, 18 and 20 hour train journey from Moscow. During the World Cup, matches were hosted at 11 Russian cities. Of these Yekaterinburg was the furthest from Moscow, requiring a 27-hour train journey of 1,100 miles. Although fans were faced with long train journeys, they did not have to pay for their rail travel if they registered for a Fan ID and had a match ticket. In this way tickets were issued to 319,000 fans who were carried on 734 special trains on 31 routes between the host cities. In addition, 12 suburban rail operating companies provided free travel for 290,000 passengers and the metro system in most cities (including Moscow and St. Petersburg) offered free travel at certain times on match days. Head of Russian Railway’s passenger business Pavel Burtsev considered that the success of these additional trains was, in part, due to station and infrastructure projects during preparation for the championship and the modern rolling stock used for them which included high-speed Sapsan trains, new double-decker trains and Lastochka trains. More than 2,300 conductors and 4,000 railway station personnel received special training and English language signs were provided at stations used by the fans. The 2026 World Cup will be hosted by Mexico, USA and Canada with 3,000 miles between two of the host cities, compared with the greatest distance between stadiums of 1,100 miles during the Russian World Cup. It will be interesting to see how North America’s railways rise to this occasion.